When will be The Bob Newhart Show (1972) next episode air date? Is The Bob Newhart Show (1972) renewed or cancelled? 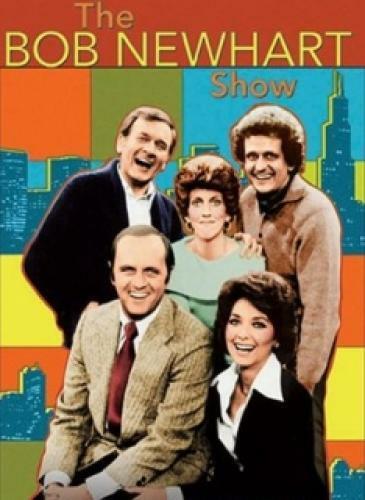 Where to countdown The Bob Newhart Show (1972) air dates? Is The Bob Newhart Show (1972) worth watching? Bob Newhart stars in his first television sitcom (his previous starring roles were on the variety series The Bob Newhart Variety Show (1961-1962), and The Entertainers (1964-1965)). Bob Hartley (Newhart) is a psychologist working and living in Chicago. At work, Bob shared the receptionist services of Carol (Marcia Wallace) with Jerry Robinson, a dentist. In his work, Bob provided both individual and group therapy. Several patients appeared many times, including Elliot Carlin. Bob is married to Emily (Suzanne Pleshette), an elementary school teacher, and has frequent visitors stop by, including Howard Borden (a airline pilot), Margaret Hoover (Emily's friend), and Ellen (Emily's sister). EpisoDate.com is your TV show guide to Countdown The Bob Newhart Show (1972) Episode Air Dates and to stay in touch with The Bob Newhart Show (1972) next episode Air Date and your others favorite TV Shows. Add the shows you like to a "Watchlist" and let the site take it from there.